Birds can create a wonderful atmosphere in your garden in summer. Attract them to your garden with AllBirds&Co Scatter Food. Does your garden bore you during the summer? Just attract birds to your garden with Allbirds&Co Scatter Food! Thanks to this treat, birds will come to your garden in no-time and you will be able to enjoy a lively garden. The supplementary fruit ensures that birds, that like a varied diet, will love this scatter food. 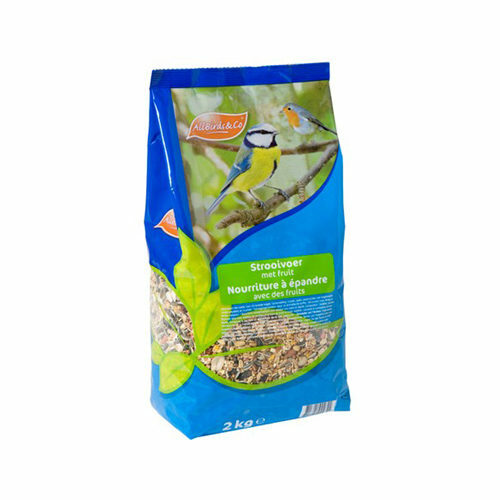 Click here to view our selection of bird food. Have you used AllBirds&Co Scatter Food with Fruit before? Let us know what you think about this product.